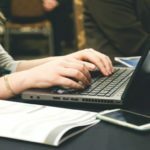 While working from home in any profession can be a challenge, running a health coaching business from home presents a unique set of additional considerations. 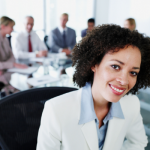 Not only are you the coach, but you’re also the appointment setter, marketer, accountant, and more! The many roles you’ve assigned yourself are necessary, but they can also distract you and cause you to lose focus on growing your business and earning revenue. Time management is one of the smartest investments you can apply to your business. It’s more than just making sure you aren’t distracted by your house chores or incoming calls from family and friends that think you have “time to talk” since you work from home. Invoices, scheduling calls, and onboarding new clients can eat up your time – but these are all tasks that are relevant and necessary to keep your business running. And sometimes these tasks may leave little room for other important tasks like marketing your health business or creating content for your blog. With all of these demands competing for your attention, you’ll need to get savvy with how you use your time. 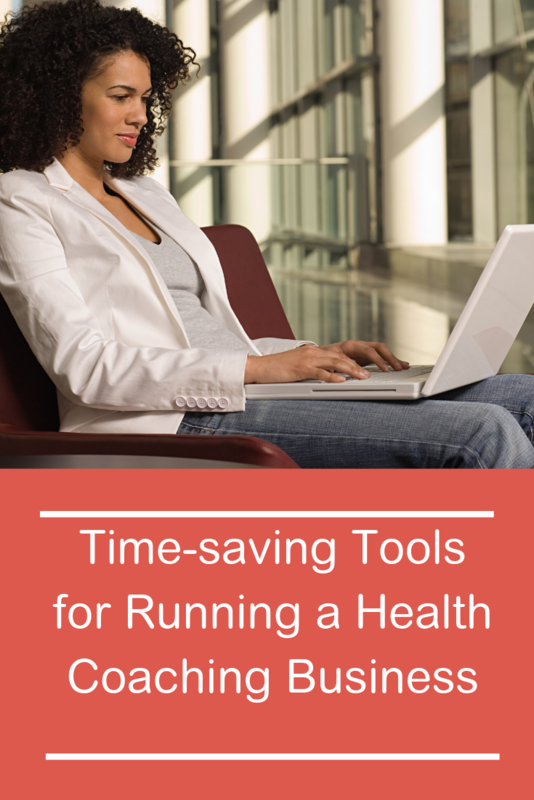 So, what are the best ways to save time while running a health coaching business from home? The first and best place to start is by setting a good foundation to get organized. By organizing yourself, you are creating less work for yourself in the future. As the old saying goes, “a stitch in time saves nine.” When you plan ahead, you’re less likely to find yourself suddenly immersed in mindless tasks that keep you from supporting your current and future clients and growing your health coaching business. The three best ways to get organized are to have a calendar system, set clear guidelines on your schedule, and reduce distractions. Let’s look at how to put these to play. Managing your schedule is crucial. It helps you to plan and anticipate what important tasks or appointments are coming up for the week or day. Having a planner is crucial to avoid missed appointments, and to stay on schedule with other important projects you may be working on as part of running your health coaching business from home. Although there are plenty of digital calendars to choose from, nothing beats a good old-fashioned pen and paper planner in my book. These are a few of my favorites! And to take your planning up a notch, consider using a calendar app to help you keep all of your appointments in one spot, especially if you are a virtual coach who is always on the go. Even though running a health coaching business from home offers you a lot of freedom and flexibility, it’s still important to have structure around the way you operate. So instead of working random hours, create a set schedule. By doing this, you are committing yourself to being consistent and working a specific number of hours each day. Knowing what hours you are “on the clock” also builds in accountability within your team of one, and elevates your professionalism as well. Another bonus of this is having set hours will allow you to build in better boundaries between home life and work life. This means your phone and tablet. Phones are one of the worst culprits for eating up a bunch of time. Answering calls and texts and checking your social media accounts are all too tempting when you’re working from home. Turn the ringer off and let family and friends know that they can still call you, but if you’re working they’ll need to leave a voicemail. Return calls and check email during your designated breaks. This is how it was done 20 years ago, so why shouldn’t it apply to today? And while you’re at it, turn off the television! Having the T.V. on may not seem like a big deal but even if it’s an episode or movie that you’ve seen before, it will still cry for your attention. Don’t give in to it. There’s plenty of time after you’ve finished working for the day to watch your favorite show. Whether business or personal, email can be one of the biggest culprits in stealing your productive work time. Become a master of saying no to frequent inbox-checking. Create a schedule for yourself around when you will check and respond to emails. Only answer emails during these block times. My suggestion is to check email once at the beginning of the day, briefly during the day, and at the end of the day. And when you check email, respond and handle it rather than letting them pile up for later. This will save you a lot of time and will allow you to be more efficient during your working hours. As satisfying as it is to be running a health coaching business from home, don’t fall into the trap of thinking that this sudden “work-life balance” means you should do household related tasks during the workday. Getting into this habit will quickly thwart all of your business goals. Tend to your household tasks and chores when you are off the clock, not during work hours when your focus should be growing your business and serving or gaining new clients. Do this by once again allocating specific time blocks to do these things. Perhaps one day per week, you will start later or end earlier so you can take care of these tasks. Even little things like throwing a load of laundry in the wash or cleaning up the dishes – if done frequently throughout your workday – will throw you off course and undermine your short and long term company goals. The dishes and laundry can wait until after you’ve clocked out for the day. They aren’t going anywhere but your clients are! The second critical element to help you save time is automation. 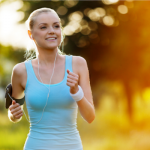 When you are running a health coaching business from home, you’ll discover there are some elements that can take up a lot of your time every day or every week. If you find yourself reinventing the wheel every time you need to send an email, reply to a services inquiry, enroll a new client, or other repetitive tasks – it’s time to automate! Systematizing some of the key (and frequent) tasks in your health coaching business can and dramatically reduce the amount of “busy work” you are doing every week. Let’s take a look at three big areas to start automating for better productivity as you run and grow your health coaching business. Whether you’re just beginning or you’re a seasoned health coach, you’ll quickly discover that managing your clients is a full-time job all on its own. However, after discovering client management tools like 17hats, managing clients has been a breeze. 17Hats is a professional online client management system that not only helps you to manage prospects and clients, but it also assists you with booking, invoices, and tracking your finances. A tool like this is a necessity for any health coach who is a “one woman show” and has not scaled to the point of hiring a Virtual Assistant yet. And with tools like 17hats at your disposal, managing all of these functions in your health coaching business is quite, well, manageable. I’m a huge fan or creating templates, and 17hats has plenty of them including customizable invoices, contracts, questionnaires, emails, and more. Who knew customer service could be so easy? Nowadays you can’t go far in business if you’re not using online tools to run your backend. This means everything from your website all the way through to your client files. And the old paper file method is quickly becoming obsolete. File folders and cabinets take up space and are simply not necessary in most cases these days. Use a cloud organization and storage tool to keep all of your business files in one neat place. OneDrive is my preferred tool when organizing files. Its seamless integration with Office 365 gives you full control over documents, spreadsheets, and slideshows. You can take your work with you anywhere you go! I use OneDrive to manage all of my business files from website content to contracts. Using a storage solution like OneDrive, Google Drive, or DropBox helps you to keep everything nice and neat and accessible from anywhere there’s an internet connection. How many times has someone replied to you with, “those times don’t work.” How long does it usually take you to set appointments with clients? A few minutes? An hour or two? If you’re playing phone tag or email tag, it could go on for days with each person proposing different times and days. If you’ve been spending too much time on client appointment scheduling, it’s time to automate this portion of your business. The tool I recommend for scheduling health coaching appointments is Acuity Scheduling. It’s your online receptionist. You simply set up our availability, create your appointment types, and share your calendar with anyone who needs to book an appointment. Setting up an automated client management process – and staying out of the loop with your appointment scheduling – is one of the biggest time-saving processes you can implement with your health coaching business. There’s no need to call or go back and forth, especially for established clients. Clients can easily set, cancel, or reschedule appointments based on your settings. The system is so easy that it’s been my go-to for 3 years now. This tool also helps reduce “no shows” as each party will receive reminders based on how you configure your emails. If you upgrade, you can also enable text reminders. And they have many more features like the ability to create group programs and have clients complete questionnaires while they book. How cool is that! Running a health coaching business from home allows you to do the things you love while helping others to improve their health. But it is not without it’s challenges, and one of these is managing time and being organized. Use the tips I’ve shared above to lay a foundation for success by creating a structured work environment for yourself, just as you would with an employer. Invest the time to find the right tools to help you stay organized and save time while running your health coaching business from home. What tools do you use to stay organized and on track with managing your health coaching business? I’d love to hear. Share below!